I had heard a lot about Scout & Cellar and had been approached my so many people to sell it or promote them or give them a shout out. When you are a popular blogger, everyone wants to be your BFF all of a sudden when they join these companies! Also not cool. Be my friend because you want to be my friend so I have gotten really good at politely declining. So of course I was a tad nervous that I would be pressured to sign up as a Scout & Cellar rep or that even if I purchased a bottle, they would totally put me in some preferred customer program where my card would be charged every month for stuff I did not even want. And I would cancel only to keep having my card charged a year later out of the blue! NIGHTMARE!!! Ohhh the anxiety and frustration. I love that so many people are doing this whole direct sales thing but I also know I tried that model and it wasn’t for me-at all. I failed miserably and STILL have buyer’s remorse actually over a popular skin care company I joined. Gosh what I could have done with that money! But anyway I know Diane and I trust her! We were friends outside of this wine tasting and I just had a good feeling about the whole night!! She knows I am always on the hunt for cleaner food and ingredients in my beauty products, so why would'n’t I enjoy a clean wine. I am so glad I went. She also knows I am trying to watch my calories and Scout & Cellar’s wines are all low calorie. WHAT IS SCOUT & CELLAR? Scout & Cellar is a relatively new company focused on bringing “clean-crafted wine” to consumers. 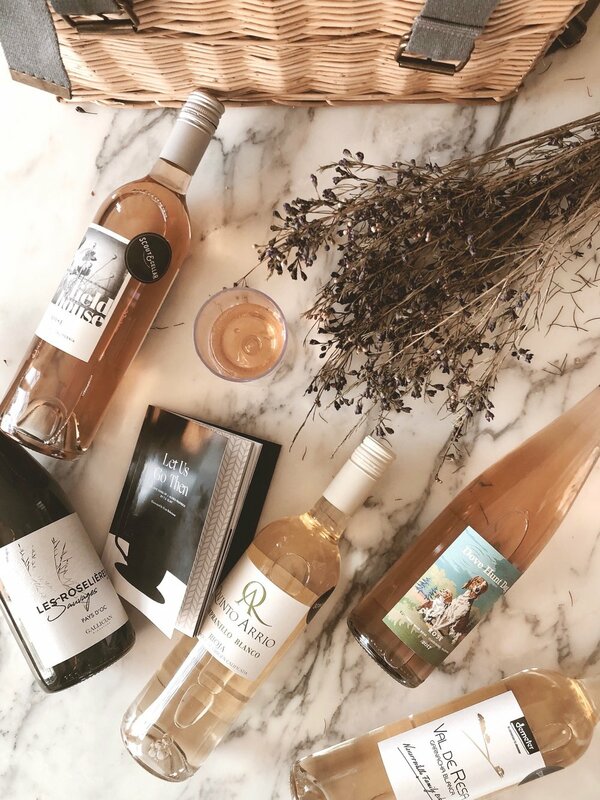 Independent consultants like Diane create their own business under the Scout & Cellar umbrella to bring you wines that are different from the rest of the pack because they don’t contain added sugars, synthetic pesticides, additional pesticides, and low sulfites. In short, all the junk that leads to morning-after-wine headaches. Their red wines won’t even stain your teeth either!! Wines actually should never stain teeth so think on that for a minute!!!! Scout & Cellar is always changing their offerings but has identified smaller-batch vineyards to help them keep an eye on what’s being produced to ensure a quality product. They use sustainable and/or biodynamic farming methods, and their wines are lab-tested. I enjoyed most of the bottles I tried — and never once felt groggy the next day. I never got a headache! Last night I drank an entire bottle (in the name of blogging, duh!) . And the best part besides no headaches, no grogginess—I slept all night!!! Usually with wine I can get to sleep fairly well, but then like clockwork I am up at 2 a.m. and toss and turn. I also feel like my heart is going to beat out of my chest the whole time I lay there awake because I feel so anxious!! This never happened last night with the Scout & Cellar wine!!!! And I took a chance ordering three other wines that we did not get to sample at the tasting but am happy to report that you should order the Les Roseliéres Sauvages. Of course it sounds beautiful ( I am currently learning French so I love playing with the language any chance I get) and it’s superb. I also ordered the two Spanish wines they had for Lin (he loves anything Spanish) and he will report back when he tries them. The two we received are The Val De Resa Garnacha Blanca and The Qvinto Arrio Tempranillo Blanco. My friend Brooke ordered The Fieldhouse Chardonnay and really really loves it! I am not a Chardonnay gal myself but know a lot of you are Chardonnay lovers. Such a small world too because my sweet friend Jeana just gifted me a belated birthday gift and it was The Dove Hunt Dog Rosé from Scout & Cellar!!! The label alone is just the cutest if you love dogs as much as I do. If you’d like to try Scout & Cellar and feel the difference for yourself, Diane can take good care of you! Scout & Cellar wine is only available through its consultants, so you won’t find it at your local store (good news is you just place your order online and it arrives to your doorstep!) I love love love that I don’t have to run to the store every time (some weeks I truly need all the help I can get around here) I need wine and wander the wine aisle stressing about which bottle to choose. I hated trying to guess which bottle was actually worth the price and always ended up randomly picking whichever label looked best. Big? Bold? Acidic? These adjectives always overwhelmed me, but now Diane can walk me through each wine! It’s like having my own personal wine tutor via the telephone. You do have to be available to sign for the package though and provide identification so you might want to ship it to your hubby’s office! UPS will try 5 times before they send it back to the Scout & Cellar’s HQ in Texas. Good old Oklahoma liquor laws, I tell ya! But at least we can now actually be shipped alcohol so I shouldn’t complain. LOL. Oh and shipping is free if your order is over $99 and you get a 5% discount if you order 6 bottles! And will I still support my local liquor stores?! Absolutely! There is something so special about that experience. I love helping the local mom and pop shops and distributors in my community and will always keep buying from them. But I did want to share another option with you about my experience at my wine tasting the other night. I think everyone needs to do their own research and find what works best for them. I personally love that we have so many options at our disposal because life simply is not a one size fits all. I am not here to tell you which one is better because I value all of it. I will support my local peeps but I will also support my friend Diane ! And if you are invited to one of these Scout & Cellar tastings, you should go!! You never know who will you meet and how much fun you will have if you do not try new things. I ended up meeting a great group of Tulsa women-one being a match maker!! OHHHHHH—there’s a blog post coming soon so stay tuned. I do believe love is in the air for my friend Karen!!!! Find Diane on her Scout & Cellar page here. This post was sponsored by Diane White but all opinions and words are mine alone.